Heliopolis University Pharmacy student, Youssry Elsawy has been recently assigned the position of Corporate Relations Coordinator in the Eastern Mediterranean Regional Office of the International Pharmaceutical Students’ Federation (IPSF). Elsawy is the first Egyptian to hold this position, which will last for one year till September 2019. He will be in charge of finding and maintaining relations with the region’s partners and sponsors for all the regions’ activities and strategic plans. He will also be responsible for maintaining an up-to-date database of communication and contact information, updating the partnership proposals, and arranging meetings if needed. 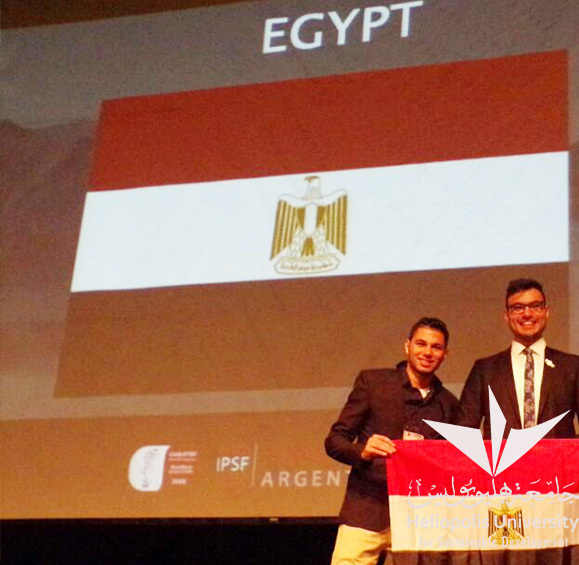 In 2017, Elsawy was selected to join the External Relations Committee of IPSF that is responsible for enhancing and promoting communication between IPSF and its strategic partners like the World Health Organization (WHO), United Nations Educational, Scientific, and Cultural Organization (UNESCO), and the International Pharmaceutical Federation (FIP). The International Pharmaceutical Students’ Federation (IPSF) is a leading international advocacy organization for pharmacy students with the aim to promote improved public health. IPSF was founded in 1949 and now includes around 350,000 pharmacy students from 80 countries worldwide.